Sign up to restaurant reviews and recipes direct to your inbox. 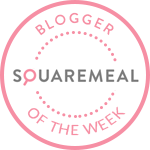 What is Emma Rose Tully – Just another London foodie?  Emma Rose Tully is a lifestyle blogger, reviewing and recording the on-goings of Emma’s life. Content includes mostly food reviews, a little lifestyle and culture as well as art, travel and music. Who is Emma Rose Tully? I am a First Class Honours Marketing, Design and Communications graduate from Nottingham Trent University. I currently work as a Marketing Director for a leading online property finance marketplace, where I’m responsible for implementing our marketing strategy to support goals and objectives set by the company. Prior to that I held positions at two business-to-business conferencing companies as an Events Marketer. I grew up in Suffolk in East Anglia but have since moved to London like most twenty-somethings! So far, I’ve lived in Bow (E3), Parson’s Green (SW6), Camberwell (SE5) and now Clapham (SW4). During my degree I worked in London as part of an industrial placement year. When I started in the role I was the only marketing representative in the team which meant I had teach myself a lot of marketing practices instead of being guided by a manager. I was most interested in content marketing and user engagement and thought the best way to learn how to optimise these was to practice in my own time. I set up my own blog as a way of finding out how to write good content and encourage readers to engage with topics of interest to me. I also use my iPhone 6 camera a lot, mainly because it’s so convenient! I need to upgrade to something snazzier if I want to compete with fellow bloggers soon. In the meantime, you can follow me on Instagram here. No, not at the moment. I recently got accepted by Skimlinks which pays you a very small percentage every time someone buys something via a link on my website. I would like to apply to Google AdSense in the future when I have a higher volume of traffic. I occasionally get invited to try new restaurants but will always flag it in the review if the meal was complimentary. If I start receiving any income from my blog I will update the FAQs accordingly. Yes, it does. For more information visit WordPress Cookies here. I’m a company and I’d like to get in touch. How can I contact you? If you own or work for an eatery or bar, which you think I have to visit, then do let me know. I’m not great on product reviews, unless it’s tea related! You can contact me here with your ideas, I promise to reply even if it is to decline your offer. Thank you! How do you find out about cool places to visit? I use a number of different sources. I receive newsletters from TimeOut, Just Opened, Emerald Street, SheerLuxe, Hot Dinners and the Nudge London. Those are probably my most trusted sources but I also regularly read blogs.